Ripple Cash: Get free RPCH tokens from the payment system platform! Ripple Cash is a global, decentralized crypto-currency and payment system built on the ethereum network. And the project designed the ecosystem with the sole intention of creating a frontline cryptocurrency. Therefore, people will be able to use it in the real world for day-to-day transactions. Ripple Cash is designed to be the next generation blockchain-based payment system: Real-time, instant, secure and scalable. The project’s team believes that industry partnerships are the key to success. And that it’s the only way for them to be accepted as a usable payment system. Therefore, they plan to aggressively work on that front. While many other cryptos remain exclusively tradable, this currency’s goal is be used and consumed by the people in reality. And this makes it even a stronger and more lucrative financial asset. For more details, take a look at their white paper and road map. 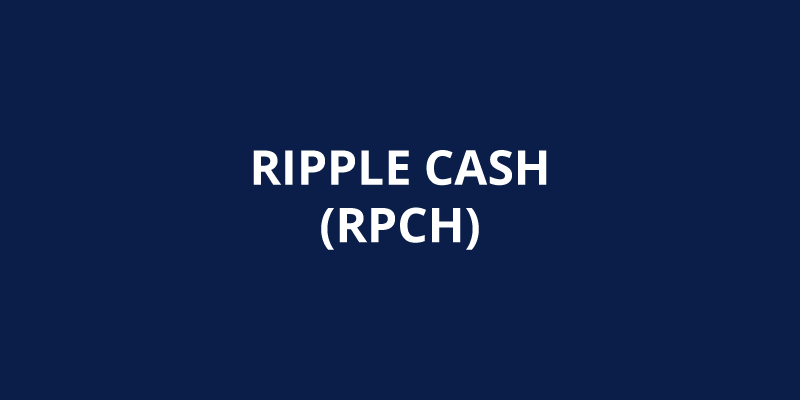 Ripple Cash tokens, or RPCH tokens are built on the ERC-20 token standard. And there’s a total supply of 100,000,000,000 RPCH tokens. Why’s the total supply so high? Because they want it that way. Indeed, they’re planning to be the most adopted blockchain-based payment solution. And you need a certain amount of tokens to be in each wallet of the world! Also, they highlight the fact that they’ll work in parallel with fiat currencies to cater to the world’s population. Finally, Ripple Cash is in talks with all the major exchanges. So the tokens should be open for trading soon. And they’re also planning a sale. How to get free RPCH tokens ? Ripple Cash is conducting an extremely generous airdrop campaign. And they’re giving away 10,000 free RPCH tokens to all the valid participants. That’s it, you’re now eligible to get free RPCH tokens! Ripple Cash is aiming to become a global cryptocurrency. But unlike the existing ones, they want people to actually use it on a daily basis. And not for trading. An airdrop campaign is now live. Claim your tokens now!